Blogging, in general, can be a wonderful thing, when you know that you have something new to offer to your audience. However, anymore it's easy to get down on yourself when you start researching certain topics to write about, only to find out that practically a 100 or more articles already exist on that subject. So when you're in that writing rut you may be telling yourself that you don't want to blog about a particular topic because you don't want to look like a ''copycat'' or you don't want to look like you're going along with the same blogging ''trends''. I bring all of this up because as a DIY blogger, I personally struggle with this whole problem. When it comes to DIYing it can become very easy to get caught up with what everyone else is doing, in order to stay on trend and to stay relevant. 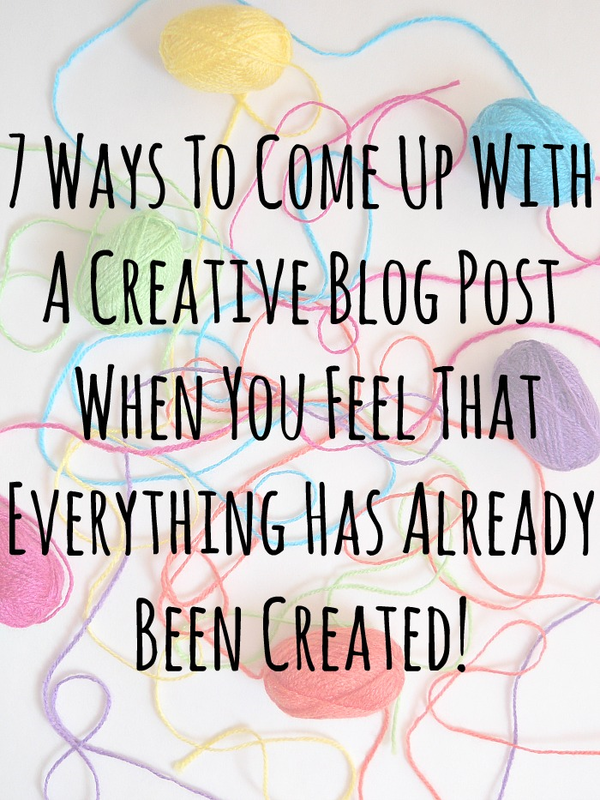 I know other bloggers struggle with this same feeling, so I thought I would share with you a few tips on how I come up with creative blog posts, when (I feel) everything has already been created! 1. Ask Questions: When looking at other blogger's DIYs or regular posts, I try to ''ask questions''. For example; Why did they use those products instead of others? , Can this DIY be made simpler? Why does he/she believe this to be true, when I believe this? etc. Asking questions is a great way to make you see a topic in a new light. It allows you think about how you are different from the person writing the post and how you would have written about that same topic differently. Asking questions also allows you to get those creative juices flowing which could possibly lead you to that next blog post idea. 2. Pick Apart The Post: This tip sort of goes along with asking questions. However, when picking apart some else's post (in your own mind of course), you begin to ''see'' more of the meat and potatoes of their post. For example, the writer might have written that they used a particular type of glue because it was the only thing they had on hand. 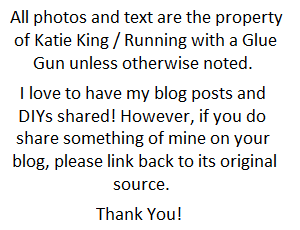 Then you might go down to the comment section and see that someone asked about another type of glue. From a DIYer's perspective, you may start thinking about writing a ''glue guide'' post or recreating the DIY but with shorter steps and a different type of glue. This example shows how picking apart a blog post can help you to see the other writing possibilities, which you could use for your own blog. With that being said, I NEVER leave a comment about picking apart someone's blog post. Again, were picking apart the person's blog post in our own minds, not in the comment section on that person's blog. 3. Think About Your Readers: Your readers are the most important aspect of your blog! When trying to come up with new content, think about what your readers really want to read. 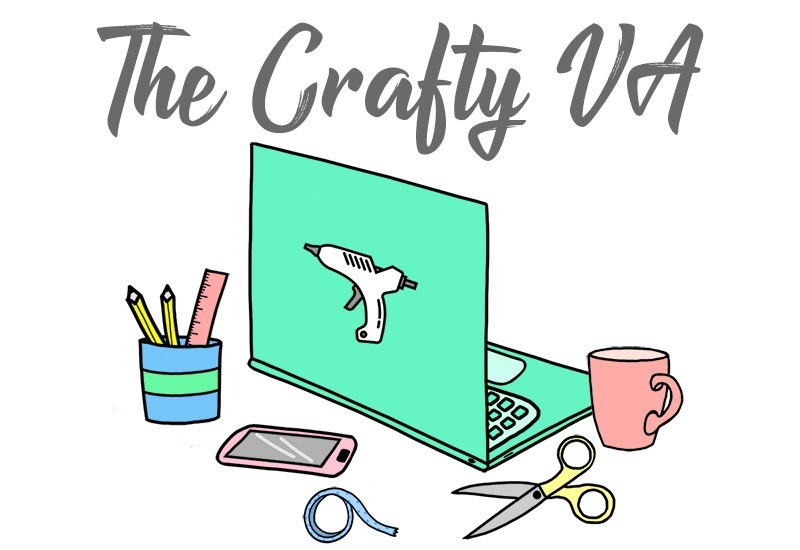 For example, do your readers really care about the DIY pineapple trend or have they been wanting to you write more craft product reviews? Most of the time, the simplest answer is usually the correct one! So remember that your readers enjoy your writing and blog for a REASON. Go back to that reason and see how you can put a creative spin on to it! 4. Go Back Through Your Old Blog Posts To Get Ideas: This is one of the easiest and simplest ways to come up with new content! Going back through your old posts (especially the comments), can help spark some new creative ideas that you didn't even know were there. 5. Expand Previous Series You May Have Already Started: Did you start a series at one time and it became popular with your readers? Then think about how you could possibly expand the series or create some new from the series. That way you're creating new content for not only now, but for months down the roads (since it’s a series). 6. Infuse Your Personality Into The Topic: This is probably the most important tip because showcasing who you are is the best way to put a unique spin on an already talked about topic. One person who I think does a great job at this is Kelly from Studio DIY. Anytime I see bright colorful photos that look like they came out a rainbow factory, 9 times out 10, they are her photos! 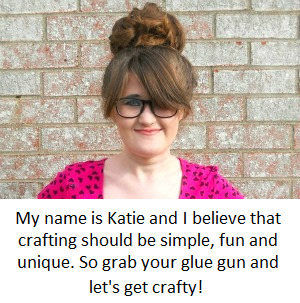 I think as a DIYer she has done a fantastic job of creating DIYs which showcase her own personality and unique style. This whole idea is something you should be thinking about when trying to come up with new blog content. If there is something that you want to write about, then write about it, but add your own unique touch. 7. Stay Current On New Topics and Trends In Your Industry: Now this may sound like a contradiction, but sometimes doing what is on trend in your industry, can be a way for you to create new content. For starters, what I mean by industry is your blog niche, this could be beauty, fashion, DIY etc. If your blog has a defined niche, then stay on top of trends within that niche. This could be new products, books, websites or techniques. Doing this will allow you to create more interesting and up to date content, since (most likely) your readers haven't seen it on other sites. Hopefully, these tips are helpful to you when your in that writing rut and are struggling to come up with content. The most important things to remember is to have fun while your writing and to not get caught up with creating that ''viral'' post. Just take a chance and write whatever is on your heart, and you never know what amazing things could happen! What tips do you guys have for coming up with new blog posts?